Bedding Information: 3 Queens. . 1Twin. 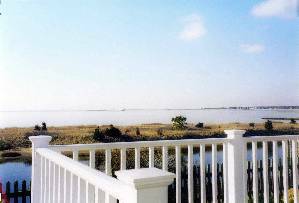 Beautiful views of the ocean can be enjoyed from almost every room of this vacation beach house, Idle Time Cottage By The Sea. It is located on the ocean in West Yarmouth on Cape Cod. 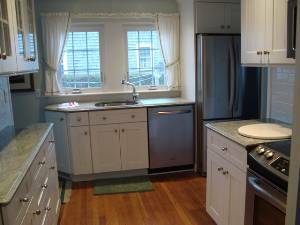 The home features a newly installed, fully equipped kitchen(2010)which has a washer/dryer, stainless steel microwave,refrigerator, and dishwasher. It sleeps 7 people comfortably and has three full baths. A fieldstone fireplace is in the livingroom with a large screen TV, a dining area, a sun porch,two large decks, and lots of charm-in the Cape Cod tradition. Amenities include, four cable TVs and VCRs, an outdoor shower,a gas grill, central air conditioning, and wi-fi. Shopping, restaurants, golf, and miniature golf are located just minutes away. Barnstable Municipal Airport, ferries to Nantucket and Martha's Vineyard are within three miles. The Cape Cod National Seashore, Plymouth Plantation, whale watching, and numerous other attractions make delightful day trips. 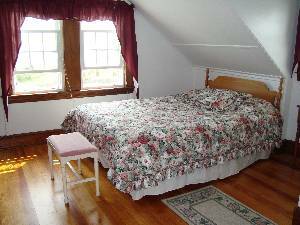 Idle Time is very clean and comfortablle, on the ocean, and is near to many Cape Cod attractions. Most rentals are judged by the surroundings, # of bedrooms, etc. Our choice was taken from the wonderful past remarks/reviews about the LANDLORDS. They were wonderful to deal with & all their effort in having & keeping this lovely cottage is worth the look see. It was all that was advertised & more. The cottage has some lovely recent work & the coziness of the den with fireplace, etc is so welcoming. We were very happy there & found the pricing appropriate to the offerings. 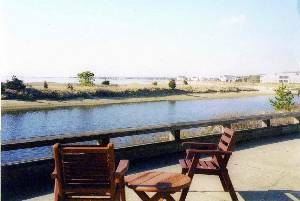 Plus, the location is close to a variety of restaurants, ferries, great family "play areas" and oh, don't forget THE VIEW!!! We would definitely go back. Wonderful 2 weeks as usual!! Can't wait 'til next year! Always love the 2 weeks we spend here each year. Just like home! We had a wonderful time! The view is beautiful! Relaxing was easy here at Idle Time! Paul and Kathy S. Alan and Karen B. 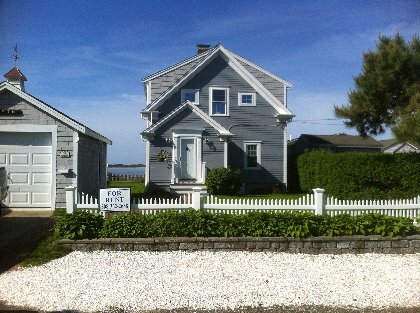 Welcome to Idle Time Cottage by the Sea, West Yarmouth, Cape Cod. 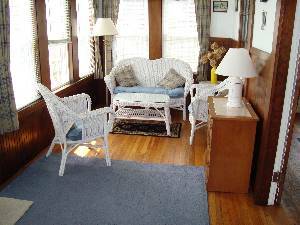 I am delighted to have so many guests who have enjoyed my oceanfront beach house, and have returned year after year for another vacation of sun and fun. I encourage all of my guests to add a comment to the Rentors Org guest book. I will look for your comments from this day forward. This is at the top of our list of favorite places to get away to. It is close to everything. The views are to die for, and the owners are great and the absolute best! Wonderful house, very accomodating owners, great location near everything! Such a beautiful house. 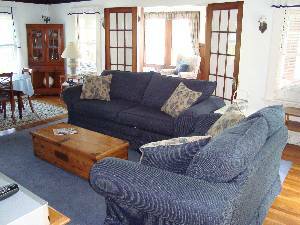 Very comfortable, well decorated and well located. The owners have wonderful attention to detail and obviously really love the place. It's like staying in someones home rather than a beach rental. We missed being there this year but plan to go back next year. Cancellations and Refunds: Rental payments and/or deposits received non-refundable unless the premises is re-rented for the same rental fee and for this time period. If so, rental payment and/or deposit will be refunded less 10% of total rent. Other Fees: Damage/cleaning fee $400(returned within 10 days) Linen package $150.